Synopsis: Peter Parker and his date Cissy arrive at the Empire State University Technology Exposition to find the Beast mobbed by adoring female fans. Cissy joins the crowd while Peter tours the expo. Killer Shrike and Modular Man are lurking just out of sight, waiting to steal the Microwave Cellular Condenser that Modular Man says can help restore him to his human form. In exchange for the Shrike's help, Modular Man claims that he will help his partner in crime to discover his origins. Peter's Spider Sense warns him of danger, so he sneaks off and changes into costume, returning to intervene just as the villains make their move. The Wall Crawler and the Beast team up to fight the dastardly duo, but are overcome and the villains escape with the Cellular Condenser. Spider-Man agrees to find the Beast later and changes back into his civilian guise so that he can accompany Cissy home. 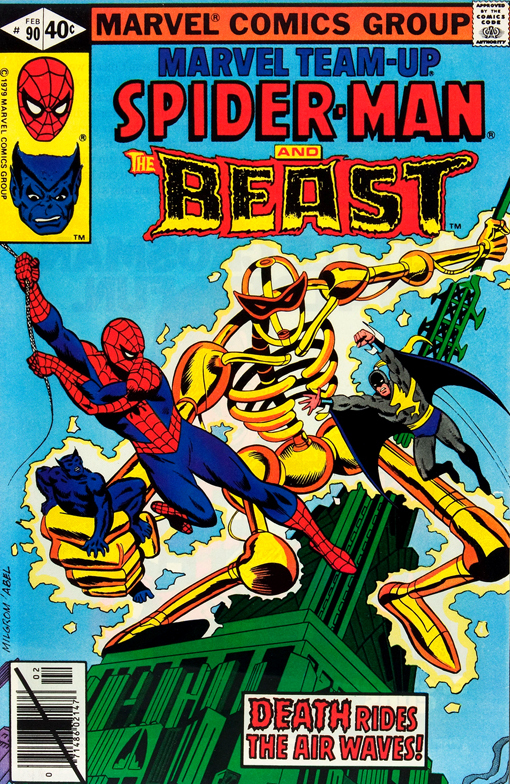 Spider-Man and Beast track down Killer Shrike and Modular Man at the Empire State Building where they plan to tap into the microwave broadcasts as a source for the power Condenser. Revealing his true plan and double-crossing Killer Shrike, Modular Man's is actually made bigger and stronger by the Condenser instead of being returned to his human form. Spider-Man and Beast manage to defeat the Modular Man with a blast of electricity and Killer Shrike makes his escape.